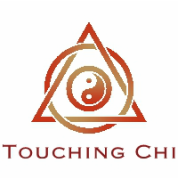 Chi Nei Tsang, Taoist Abdominal Massage, is an ancient technique combining Chi and Touch, focused and directed to the abdomen. A gentle, listening touch brings awareness to areas in the abdomen where Chi (energetic information) has become contracted or restricted. This provides an opportunity for the release of tensions or contractions in the abdomen, and can have a profound effect. Treatments may reveal emotional charges that have been held within the vital abdominal organs. By revealing the existence of these charges an environment for digestion and healing becomes available. Chi Nei Tsang treatments increase the conscious-subconscious connection and thereby increase awareness. The hands of the practitioner provide guidance so that awareness can be brought to the charges. By bringing the client’s consciousness to the affected area, the charges are observed, acknowledged, and released. A balancing effect takes place in the digestive system on many levels. Physical, emotional and mental, as well as spiritual, wellness are common byproducts of a more balanced, healthy centered self.